Hot on the heels of the Note 9 appearing in a benchmark database, now Samsung's upcoming S-Pen holder is all but confirmed, as it has already been released in Samsung's support pages. Yes, the SM-N960U internal codename has been listed on several country-specific websites, among tips on how to replace an S-Pen nib, indicating, well, a stylus-laden handset, surprise, surprise. 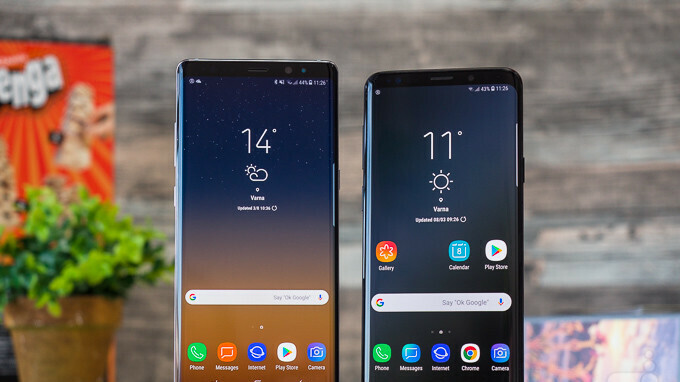 As a reminder, the Note 9 is expected to sport the 6.3" display of the Note 8, with the brightness and cover glass improvements of the S9 and S9+ displays. On the chipset part, expect Snapdragon 845 and Exynos 9810 again, 6GB RAM, and the dual camera set is very likely to be pilfered directly from the S9+, along with the fingerprint scanner. Overall, the only enigma is the battery capacity, and even that is no longer a complete surprise, but that won't deter S-Pen fans worldwide to line up for Samsung's upcoming biggie, provided that the company prices it in a smart way, like it did with the Galaxy S9 here in the States.